As the promotional items market is flooded with branded USB memory drives, choosing the right product for you and your business has become a tedious task. In this article we will look at ten most important aspects anyone should consider before an order is issued, before the purchase of promotional USB sticks. The thing that many people do not know is the grade of the flash memory chips that come with their USB memory drives. And this is maybe the most important part of their devices, the component that actually gives the quality and the life expectancy of these devices. The flash memory chips hold the storage capacity and the speed with which the data is written or read. Almost every cheap flash memory chip has a low grade, a low quality. So don’t jump at every discount you’ll find, check the grade of the memory chips first, just ask your supplier before you make your purchase. And stay away from lower than B grades. Any memory chip with C or D grade have very low in reliability and performance. Version 1.1, 2.0 or 3.0? This is a very good aspect to think of. Today, all these versions are available on the branded USB flash drives’ market. The differential aspect between them is the transfer and access digital data speeds. As you may figure it out by yourself, the 1.1 version has the lowest speed and the new 3.0 version is the fastest. Now, depending on your needs, this choice can be easy to make. If you need to store or transfer large amounts of data the 2.0 or 3.0 versions would be more suited. Also, usually you can differentiate the version of the USB flash just by looking at it, because of the colour at the end of the USB connector. Almost all USB 1.1 are white, 2.0 black and 3.0 are blue. The branded USB flash drives are one of many products that have to comply with this regulation. RoHS is the short of Restriction of Hazardous Substances. Imported in United Kingdom or other EU country from different parts of the world, these devices must have this certification. With the RoHS tick on your device, you can be prosecuted according to the law. So check this aspect very carefully. This is aimed to minimise the negative environmental aspects of disposal, to encourage reuse and recycling. The WEEE directive tries to target a 65% IT equipment recycling. This includes different types of monitors and displays, circuit boards, batteries and flame retardant plastics that before disposal to be pre-treated. So if your products are not WEEE compliant, please have an ethical recycle position and do not purchase them. In addition, owners, from UK and other EU countries, of such products can be prosecuted. This law came into force on 2007, is the Registration, Evaluation, Authorisation and Restriction of Chemical substances and it is a European Community Regulation on chemicals and their safe usage in industry. It wants to improve the human health and the environment through intrinsic properties of chemical substances better and earlier identification. 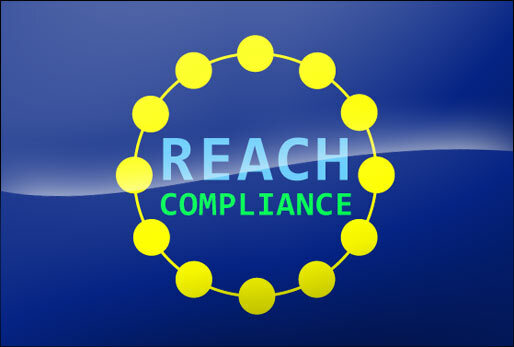 Even thou the full benefits of the REACH law will be noticed gradually, make sure your desired products comply with it. As there are so many models and designs of USB flash drives, make sure you know exactly what you need and want. You can also talk to your supplier’s representative to help you chose which model is the best for your business theme or logo, what styles are available and what colours you should use. Reputable branded USB suppliers have a design team, so take advantage of this aspect and let them help you. If you need more than 100 units of USB memory drives, don’t even think of loading your promotional materials onto them by yourself. It is a very tiresome job and it will take a lot of time. Manufacturers can do this very easily for a slam fee, saving you from wasted time, funds loss and other hassles. The perceived value of your USB flash drives as giveaways will be enhanced with a proper package or a custom made one. From plastic boxes to tins, these packages can be also used to add some other advertising message, logo or web address, not only the ones that can be found on the cases of your branded USB memory drives. The packages can be also easily fitted over with a sleeve, produced in four colour process imagery. So check your supplier for these packages to benefit from a greater marketing or advertising impact over your clients, partners or employees. As any other advertising or marketing tool, the USB flash drives, in order to the highly effective, they need to provide a solution to the receiver’s needs. So make sure that the memory capacity of your USB memory drives is sufficient to satisfy most necessities. Also, make your shape, imprints or engraving, along with the colours used for your branded USB sticks, relevant to your company or brand. A boat shaped USB flash drive will not say much about an IT company. So make smart choices. This is very important because it will help you make the right choices for you promotional USB thumb drives. This will dictate their shape, their style and their memory capacities. It will make your branded giveaway to stand out from the crowd and deliver the wanted message to your receivers, either if they are regular potential customers, corporate executives or your employees. Also, try to link your promotional USB memory drives to some event. It can be a sale fair, conference, press release or some other advertising or marketing event. It is also important to know what promotional items your competitors used in the past. You don’t want to have similar products as gifts. So, before you make your promotional USB flash drives purchase, try to consider all these aspects, plus other ones that are relevant to you and your business, your products or services. And consider USBcompany.co.uk as your trusted supplier and partner.